Do 你 have Michael Jackson´s Vision? And do 你 like it? 粉丝选择: Yes, I 爱情 it! Which video didn't 你 see ? In which clip would 你 have liked to appear out of these ? Which 音乐 video dance 你 like the best? Did god say that 你 could decide ? 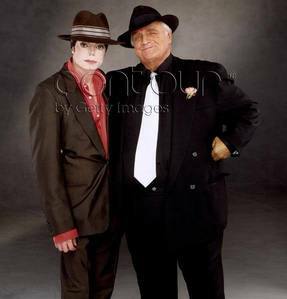 Who is in this picture with Michael?